Welcome to the official site of the City of Monroe, Iowa, home of the PCM Mustangs! 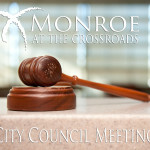 Monroe, located in southern Jasper County, Iowa, is a progressive community of 1838 friendly residents. Monroe’s rich history began in 1843, when Adam Tool, William Highland and others staked out their homesteads and called the area “Tool’s Point”. 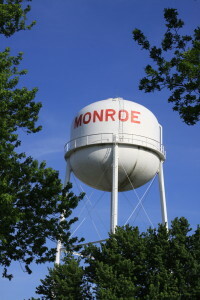 The town was incorporated in 1867 and was named Monroe. William and Ellen Highland built the first log home and became the parents of the first non-Native American child born in Jasper County. The first Methodist Church circuit rider arrived in Jasper County in 1844 and services were held at the home of Adam Tool. Located 30 miles southeast of Des Moines, the state capital, Monroe is intersected by Highways 163 and 14, with Interstate 80 just 12 miles north of the city. Knoxville, home of the Sprint Car Hall of Fame and National Sprint car races, is 14 miles south on Highway 14. Newton, home of the Jasper county seat, Jasper County Museum, and the Iowa Speedway Race Track, is located 14 miles to the North. Pella, 14 miles southeast on Highway 163, attracts travelers interested in the Dutch heritage of the community and the rich tradition of Tulip Time. 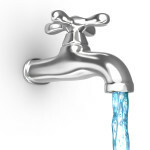 This site is designed to provide information about our town to current residents, prospective residents, and visitors alike. If there is anything you are unable to find or have any questions you can use the form on the Contact Us page and we will be happy get back to you with an answer. Welcome again to Monroe, Iowa!